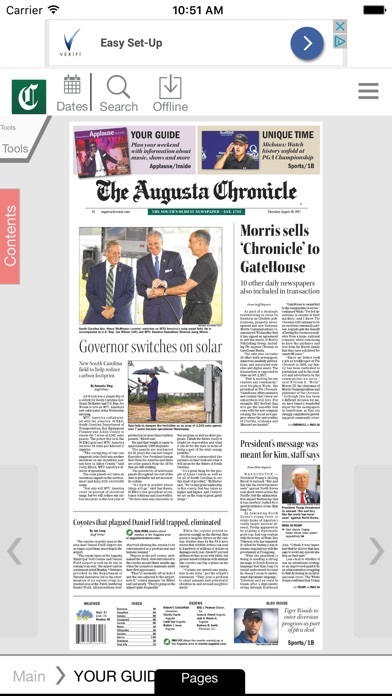 The Augusta Chronicle, the South’s oldest newspaper, is now available on your iPad and iPhone. 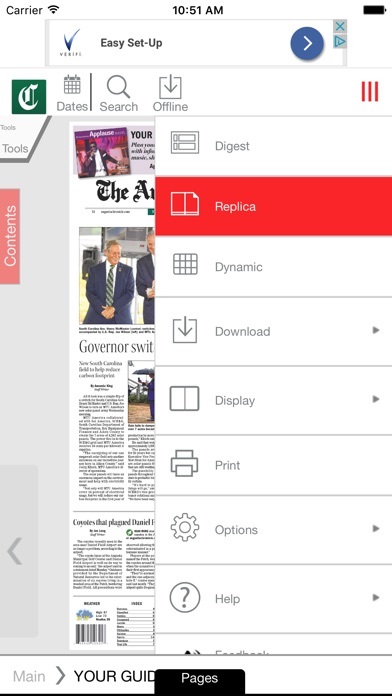 With the Augusta Chronicle app, you can get our award-winning coverage in this evolving digital format as we celebrate over 200 years of newspapering. 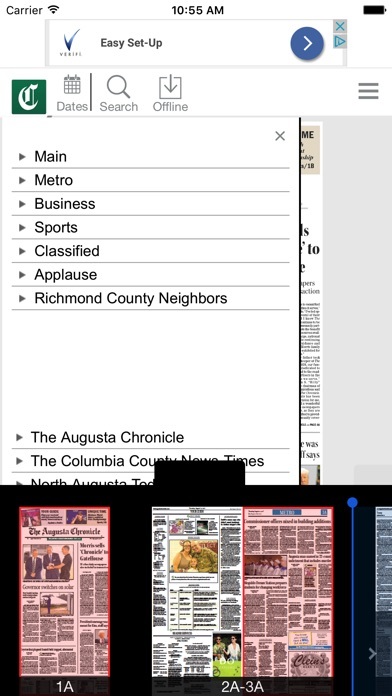 The app is free to download and run, but an Augusta Chronicle digital membership is required to access the content. Those with an All-Access Membership login also can just enter it when prompted. 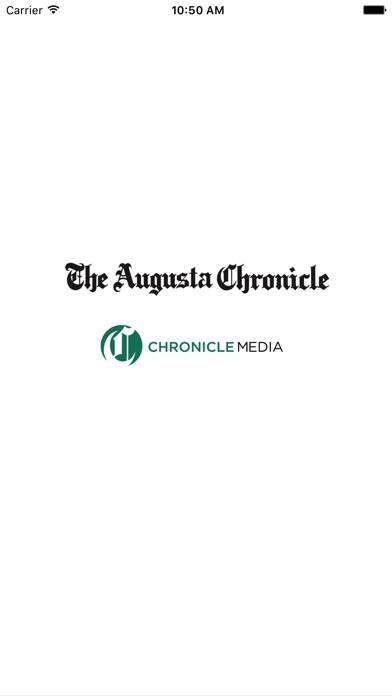 The Augusta Chronicle provides the best local news, sports and entertainment. Our new iOS edition includes our thoughtful print presentation, with additional photos, video and more: Download the day’s The Chronicle and read it on your iPad and iPhone, online or offline. Get breaking news throughout the day. Take advantage of “plus” content like videos, slide shows and Web links. Email a story to a friend or share it on a variety of social media outlets. My iPad will no longer download the latest newspaper edition unless I completely turn the iPad off and restart. This is also true of the Sunday edition but at this point, I'm only getting part of the paper after the restart. Numerous additional restarts show other sections in the index but clicking on them gives zero response from the link. Additionally, I use to be able to highlight a specific page selection (e.g. the crossword) but this option is no longer available. At this point I'm being generous with a three star rating. If problems persist my subscription cancellation will preclude me from giving a lower rating. This app makes reading the paper just about impossible. The issues are too numerous to list but here are four. The insulting, and flashing, ads at the top of the screen that you cannot turn off even though you have a paid subscription. You never know what will happen when you touch the screen. Will the app show the previous page, the next page, zoom in, zoom out, or show an ad? The translucent images that obscure the newspaper text. The fuzzy font that only gets worse when you zoom in. It seems this company truly hates their customers and this product is not worth even one star. Go back to what works! I liked the old version much better. This 'upgrade' is more like a downgrade. 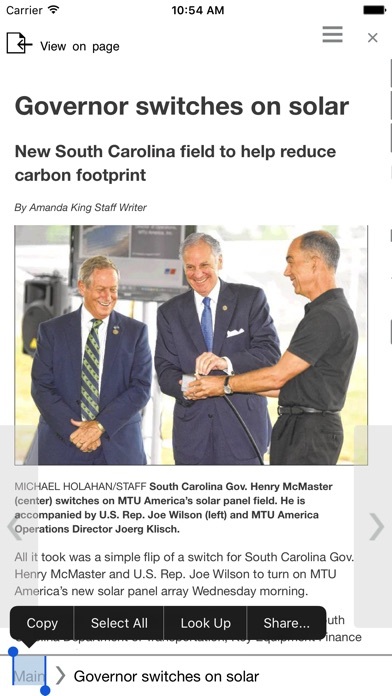 The newest version of this app is absolutely the worst since I started using the original Augusta Chronicle app on my iPad. * Navigation is very clunky and not intuitive. * We're paying for this app, yet have to close additional advertisements just to see the overview of each page. * We've also lost the ability to see the additional and full-size pictures that accompany each article. * This is just the tip of the iceberg for the list of negatives. The latest version is definitely a step backward and may cause me to drop my subscription at renewal time. Fix it!!! I like to read in page view--or at least I did in the old version. Now the print is not sharp and becomes even more blurry when zoomed in. The page is "jittery" when trying to manipulate the zoom and position making it nearly impossible to zoom in on a section of the page without it resetting the page or turning to another page altogether. Page turning arrows near the bottom are unnecessary as pages can be turned with a swipe like before. The arrows cause inadvertent page turns and interfere with reading near the edge of the page. I just finished reading an article from an archive page that had a link to follow for more articles on the same subject. When I clicked the link it asked me to sign in! I thought I was already signed in as I was using the app! This is supposed to be an improved app, but the functionality of the old app worked better for me. I love accessing my PAID subscription to the Chronicle on my IPad, but the last 2 updates to the app have made it very frustrating to use. Constant app crashes and pages getting stuck are more the norm than the exception. Come on AC staff! Fix these problems so that we can enjoy the 20 or so full page ads that get added to each PAID for digital "copy" of your paper. I will never use your advertisers in the digital edition. The latest version is horrible. It makes me log in for every download... Which means I won't be downloading anymore. Don't upgrade... Stick with old version until this is fixed. I downloaded the iPad version, attempted to download the newspaper. All it does is spin. Never asks for my Press+ information - I think that's part of the problem. I can't find anywhere to ask for help with this app. I've had nothing but problems with this app. It freezes and crashes constantly. Though I've written the Chronicle and the company that helps with their online support at least four times, I've yet to receive a response.